Al-Hamdd Trading Post was establihed in the year 1993. 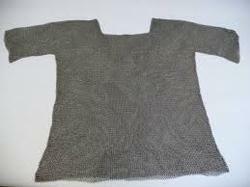 We are the leading Manufacturer & Exporter of Antique Helmets, Antique Swords, Daggers Sword, Butted Chain Mail, Chainmail Shirts, Chain Mail Vests, Body Armours, Metal Mesh Armory, Military Bayonet etc. Providing quality products to clients is the main aim of our company. Being a client-centric organization, we are involved in providing utmost quality products to customers that satisfy their entire requirements and needs. To render complete satisfaction is our main objective. Our customers prefer to purchase our products due to their best quality and reasonable price. We ensure to satisfy the entire requirements of our patrons in all possible manners. Our professionals have maintained a trustworthy relationship with our valuable clients.